PUNE: Last week, after a hectic day of campaigning, former Maharashtra chief minister Prithviraj Chavan arrived at a Congress leader’s home late evening in Pune. Gathered at the spot were nearly 50 people comprising developers, businessmen and traders. Each of the men narrated the woes from their businesses, with the common refrain being the ‘cumbersome’ goods and services tax (GST) and how they were spending more time, money and effort handling GST issues that have been affecting their businesses. Chavan heard them out and promised how the Congress government, if it comes to power, would come with an better ‘GST 2.0’ that would be much simpler for everyone. At the end of the meeting, a local Congress leader who organised the meet promised Chavan that the businessmen would help the Congress. 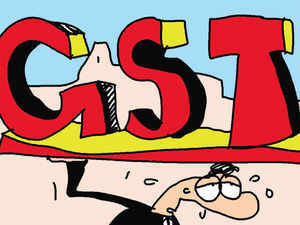 Nearly 300 kilometres away from Pune in western Maharashtra traders, in Marathwada’s Osmanabad, a talk on GST brings out the same anger and frustration among traders. “It is definitely cumbersome, every other day there is some new notification (about GST). I think there might have been at least 200 to 250 notifications as of now, how do you keep track of all this and run a business. Businesses have taken a huge hit due to this,” said Sanjay Mantri, president of District Chamber of Trade and Commerce, Osmanabad.